Home > WIITECH > WIITECH Marui KSG CNC Beast Muzzle Rail. WIITECH Marui KSG CNC Beast Muzzle Rail. 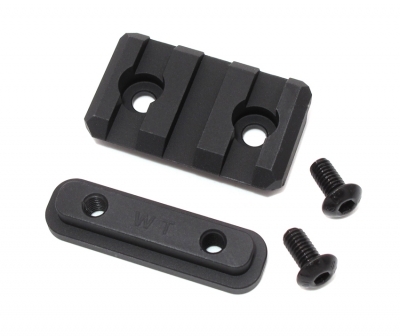 This adapter Picatinny Rail is manufactured by precision CNC machined which ensures precise edges and engagement tab for perfectly fits and solid installation onto the BEAST Muzzle Device. 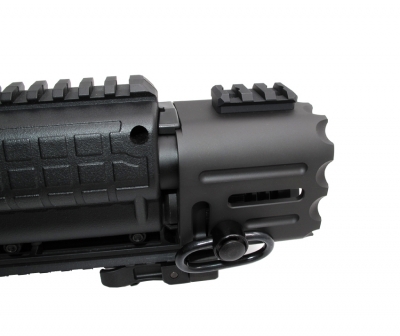 While the rail is MIL-STD-1913 dimension, it is made of 6061-T6 aluminium and electroplating finishing. 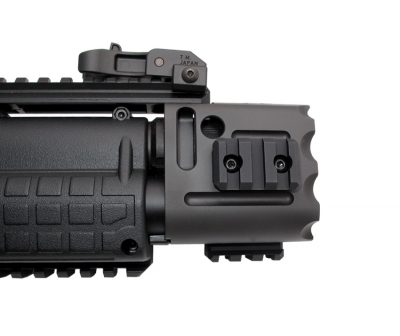 This adapter Picatinny rail is manufactured for mounting lights or lasers to the sides and bottom of the muzzle device.